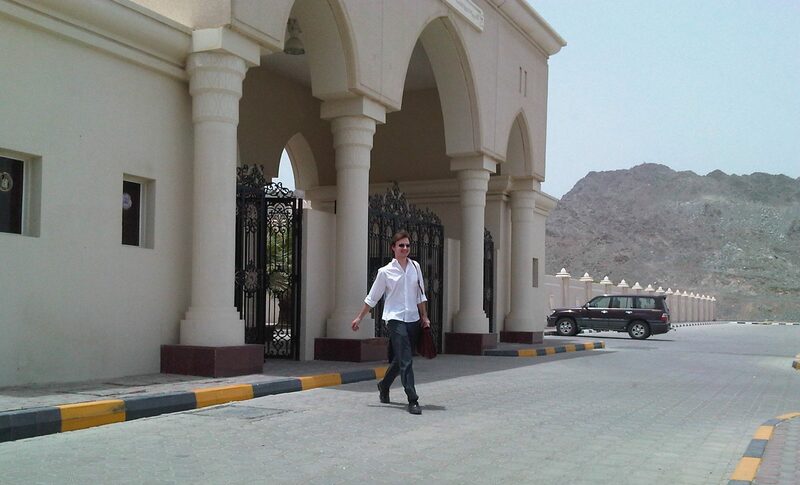 Category: UAE Ministry of Education. Ministry of Education’s social media sites log interactions with 26,000 students and 40,000 parents and specialists. 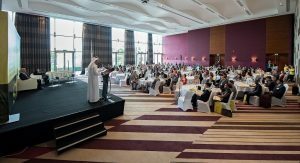 [UAE, June 19, 2014] – More than 26,000 12th-grade students – nearly 70 percent of the total student candidates for the final high school exams – interacted on the social networking sites of the UAE Ministry of Education, During their first three days of exams, the young respondents actively answered an official Ministry questionnaire aimed at achieving overall satisfaction in the conduct of exams and the performance of examinees. The questionnaire, which also sought to obtain various observations and opinions from students, was posted on the Ministry’s Twitter and Facebook sites. Official statistics also showed that over 40,000 parents and education specialists engaged with the Ministry’s media sites on a daily basis. From the start of the final exams for the third semester until the present, this particular group has kept pace with breaking news and information related to the examinations and disciplines. They also read through tips and guidance for students as well as other pedagogical subjects. UAE Ministry of Education Facebook page. The Ministry has provided unique ‘smart’ and electronic services before and during examination days targeted at all students but with a particular focus on 12th– graders. It has offered various forms of electronic training for all subjects to prepare students well for their exams. Telephone hotlines have also been made available in educational zones to respond to student inquiries as well as media questions related to the evaluation and administration of exams. The hotlines can also provide information on any comments received by the Ministry from media. In return for the unique services it provides and its commitment to quality standards, the Ministry has asked 12th-grade students to answer a set of open questions posted on its Twitter and Facebook accounts. Respondents were requested to comment on the extent to which the exam considers individual differences, the time allotted to answer and review each exam item, their personal evaluation of the general environment provided by schools during exams, and the role of parents in motivating students to achieve success and excellence. Student expectations on results and success rates were asked as well. Students expressed their satisfaction over the general atmosphere provided by the exams committees at schools. They also confirmed the Ministry’s success in ensuring that exam questions are clear – whether in terms of language or formulation – and consider individual differences. Other groups of students commented on how the examination dates coincided with the World Cup games. Some humorous statements from students reflected their passion for sports and football, saying how they preferred to postpone exams and watch the 2014 FIFA World Cup matches instead. Other more serious comments showed the eagerness of students to take advantage of every minute for the final review and their expectations of excellent exam results. 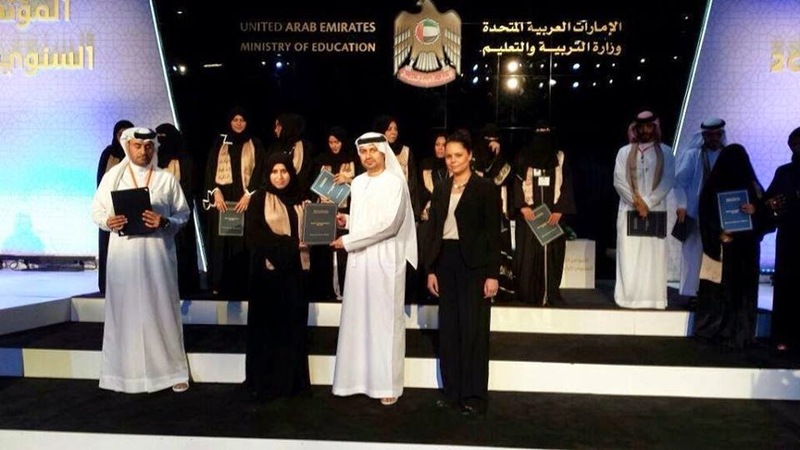 Mohammed Bin Rashid Smart Learning Program wins World Summit Award in Geneva. 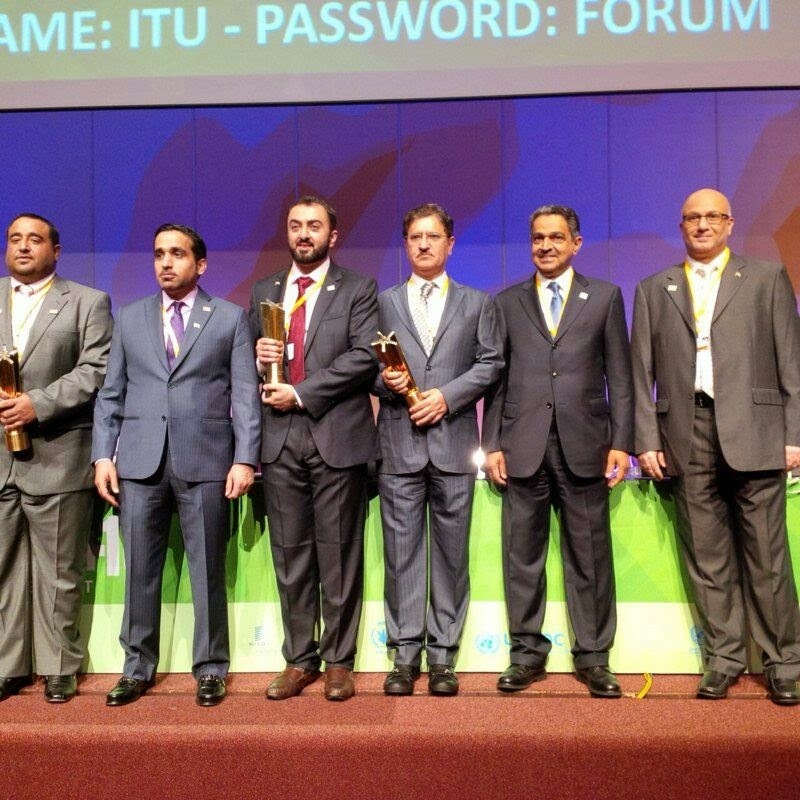 [UAE, June 11, 2014] – The UAE’s Mohammed Bin Rashid Smart Learning Program, which aims to launch ‘smart classes’ in public schools in line with UAE Vision 2021, has won a World Summit Award during the World Summit on the Information Society in Geneva, which is being held under the patronage of the UN International Telecommunication Union. The program won recently in the team work category of the Government Excellence Award. The program’s success was highlighted in international reports of major technological institutions that were published earlier this year during the Education World Forum in London. Reports made by leading technology and software companies Hewlett-Packard, Microsoft and Samsung showed that it is the first program applied comprehensively in schools based on the evaluation system and international measuring indexes. 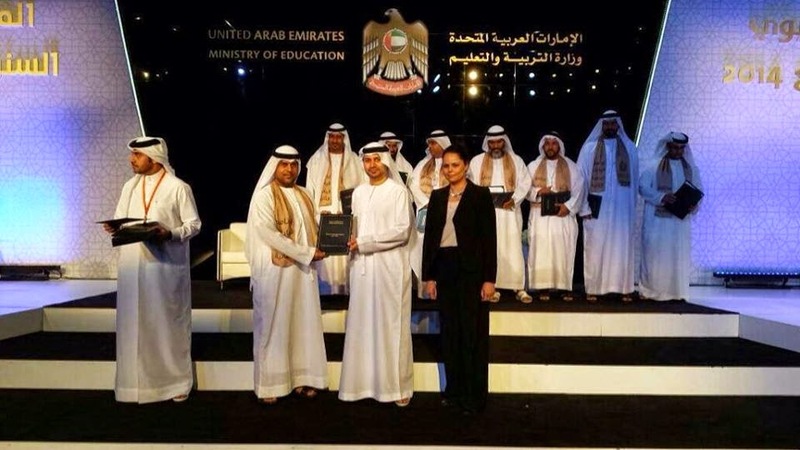 They said the UAE is the only country among 11 advanced states in the world that considers ‘smart learning’ as part of its national vision and move towards economic development. such as Samsung, HP and Microsoft to form strategic partnerships with the Ministry of Education. 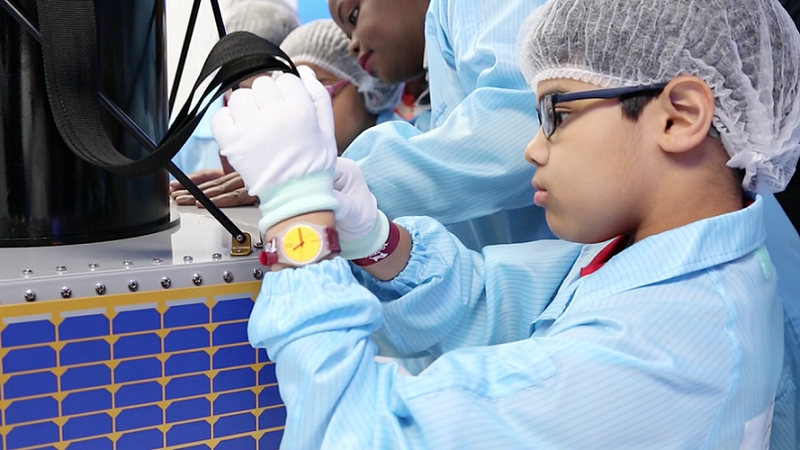 The project is implemented by The Ministry of Education and supported by the Telecommunications Regulatory Authority. H.E. Humaid Mohammed Al Qatami, Minister of Education, said: “The Mohammed Bin Rashid Smart Learning Program is the future of UAE’s education sector. It has been recognized at the Education World Forum in London as highly valuable. All other countries in the world should follow this achievement and benefit from its approach and goals. The success of this program reflects the strong commitment of H.H. Sheikh Khalifa Bin Zayed Al Nahyan, President of the UAE and Ruler of Abu Dhabi, and H.H. Mohammed Bin Rashid Al Maktoum, Vice President and Prime Minister of UAE and Ruler of Dubai, and the members of the Federal Supreme Council,” he said. “After winning the Government Excellence Award, the program became an international success thanks to the ongoing efforts and hard work of all teams in terms of planning and implementation. The teams are composed of directors of educational zones, school principals, supervisors, and teachers. 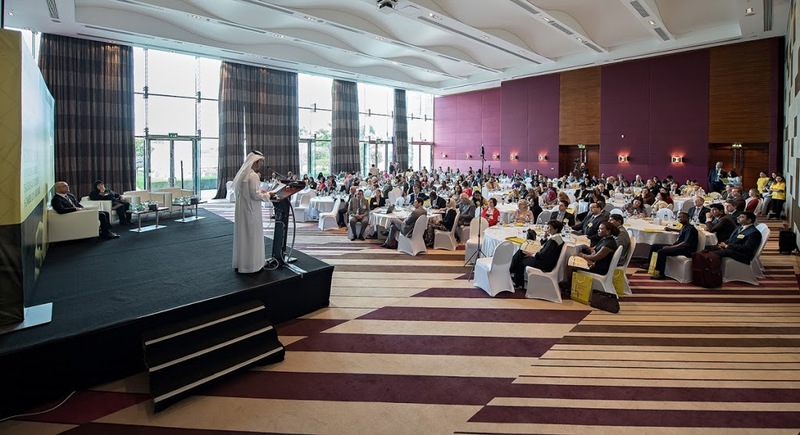 Both parents and students are also supporting the program’s main objective to position the UAE as the leading country in providing excellent modern education,” he added. H.E. Al Qatami said the Ministry of Education appreciates the Telecommunications Regulatory Authority’s strong support as it provides telecommunications sector development fund. He noted that it plays a significant role in the education system. Mohammed Gheyath, Director General of Mohammed Bin Rashid Smart Learning Program, and Rashid Bin Lahej, Director General of Abu Dhabi systems and Information Center.